%LOCALAPPDATA% folder may be used as backup if %USERPROFILE%\Documents isn't available. Launch game with --Borderless parameter. 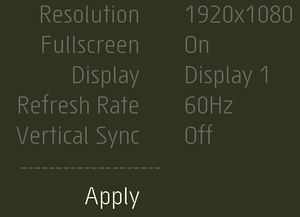 60 FPS Cap so as to keep replays in sync. Open keys.vars with a text editor. Rebind keys that you want by editing KEYBIND("");. Integrated Intel graphics are not supported.